The Royal Horticultural Society Garden Wisley is acclaimed by gardeners throughout the world, but you do not have to be a keen gardener to appreciate the beauty of Wisley: whatever the season, the Garden is a unique and enchanting place that people return to time and time again. 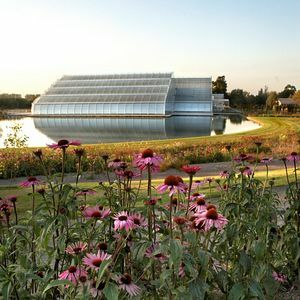 Covering more than 240 acres, Wisley is one of the world's biggest gardens, demonstrating more gardening techniques and styles than any encyclopaedia could ever hope to cover. 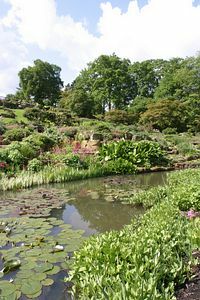 Throughout the year Wisley has a wide variety of different events taking place. 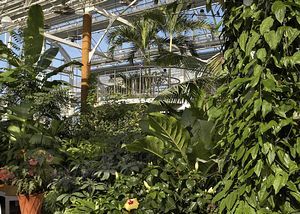 With stunning and facinating orchids in the Glasshouse in Spring time to the ever popular August Flower Show and the very much enjoyed A Taste of Autumn, everyone can come and enjoy an event at Wisley. For children this year there are various activities taking place throughout August. 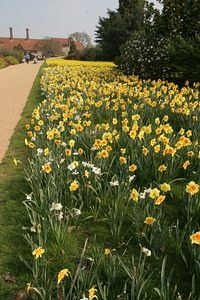 For more event information please see the website of RHS Garden Wisley. 20 miles south-west of London and 7 miles north of Guildford on the A3, close to the M25 (junction 10). Just follow the brown flower tourist signs on the M25 and on the A3. Trains from central London Waterloo to Woking. Taxis are usually available from the station to go to the garden.There is a bus, 515 which runs between Surbiton and Guildford.